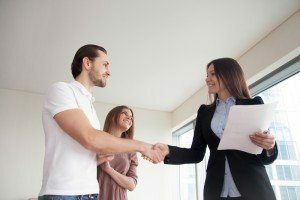 Buying an investment property with a partner can be a fantastic way to step onto the property ladder and start reaping the benefits of investing. Whether you are out-priced in the Auckland property market or you’re simply time-poor, an investment partner can open new doors and solve your problems. This could be a romantic partner, a relative, a friend or even someone you don’t know very well. When you choose to enter into a property investment partnership, it’s absolutely essential to get the ownership structure right. From tax minimisation to conflict resolution, the structure you choose will shape the very nature of your partnership. Here is some advice for investors looking to buy a property with a partner. What Are the Advantages of Investing with a Partner? There are several clear advantages of investing in property with a partner, which is why it’s becoming an increasingly popular option. By pooling your collective funds, you and your partner could get access to a more desirable asset class that would otherwise be out of your reach. Similarly, a partnership could pair an investor with access to equity (and therefore a deposit) with a partner who has a greater cash flow. Finally, if one of the investors is time-poor, their partner could complete most of the hands-on investing duties alongside a property management service. In other cases, a partnership simply makes the most sense, such as when family members wish to buy property from a deceased loved one’s estate. As you can see, there are situations where a partnership may be the best approach, and in these cases, it’s essential to protect the rights of each investor. Perhaps the simplest solution for investment partnerships is to put the property under both individuals’ names. In these cases, “joint tenancy” and “tenants in common” are the main investment structures. Joint tenants each own an equal share of the property while tenants in common can split the investment unevenly. Tenancy in common is very popular for tax purposes, as it allows the investors to split their investment in a way that will be the most tax-effective (based on who has the higher income). As a tenant in common, you only receive your share of the profits and you only have to cover your share of any losses. As the more flexible structure, tenants in common can also sell part, or all, of their share. For joint tenants, neither party technically owns a defined share and the remaining share will go to the surviving individual if one investor were to pass away. Purchase under a trust – setting up a trust is usually recommended for rental properties that will make a profit. Trusts are an excellent way to protect your asset and they offer tax advantages by dividing the rental profit strategically or paying the trust tax rate. However, trusts can be costly and time-consuming to set-up and maintain. Look-Through Company – a look-through company or LTC is an investment structure where profits and losses are distributed based on the number of shares owned in a property. This is another way for investors to flexibly invest in a property. A partnership agreement can be written up with a lawyer in order to settle disputes should they occur. These documents can outline the rights and responsibilities of each partner, including their right to exit or dissolve the relationship, financial responsibilities, and the best methods for resolving disputes. Regardless of the logistics of your partnership, a professional, local property management service remains essential to investment success. This is especially true in markets as dynamic and complex as Auckland. Walker Weir Property Management ensures quality tenants and maximum ROI for your investment. To learn more about us or for general property investment advice, call 09 972 1212 or leave us a message online.